Cathy is a full-time artist, oracle card designer and the author of Storytelling Art Studio: Visual Expressions of Character, Mood and Theme in Mixed Media as well as the ‘star’ of the Storytelling Art Collection of DVDs through Artist Network TV. Cathy also designs whimsical and story-oriented stencils for StencilGirl! 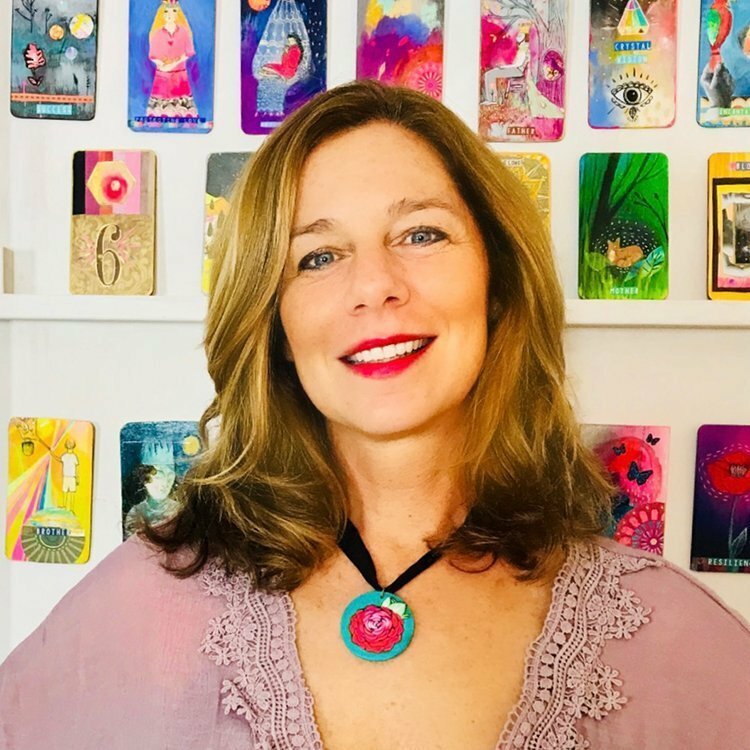 Cathy first fell in love with symbol and story while completing her MA in Literature, and she adores teaching others to use these tools in her “Create Your Own Oracle Deck” and “Oracle Joy” workshops. Cathy specializes in colorful, narrative paintings created with melted, pigmented beeswax or acrylics and mixed media. Her signature folksy style includes highly detailed etchings combined with broader strokes of color that celebrate stories of love, hope and resilience. You can find Cathy’s studio in Asheville, NC, where she paints her colorful “stories in wax” to a soundtrack of her boyfriend’s music and children’s voices.